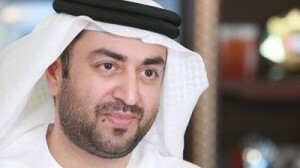 Ali Mohamed Al Khouri, Director-General of the Emirates Identity Authority. The infrastructure of the Emirates Identity Authority (Emirates ID or EIDA) has become an essential cornerstone for developing and supporting strategic projects in U.A.E. such as the issuance of e-passports, elections to the Federal National Council, e-Government and Smart Government initiatives, said Ali Mohamed Al Khouri, Director-General of the Emirates Identity Authority. Al Khouri was speaking at the INSEAD’s Innovative and Policy Initiative (Breakfast Series) on the role of the Emirates Identity Authority in supporting the development of the public sector in U.A.E. His presentation focused on the strategic plan of the authority and its role in crowning the various projects and initiatives with success. The data matching services provided by the Authority had helped correct data bases and prevent duplication of records, he explained pointing out that this has resulted in higher rates of data accuracy in government records, facilitating easier decision making. Another important landmark is the project for e-linkage with government entities. The e-linkage project with 14 government entities is expected to conclude by the end of this year, which will be a major accomplishment. The official described the authority’s projects being implemented based on the digital identity infrastructure as the cornerstones for a digital economy and help in the comprehensive transition to smart e-services. “The fundamental components of our strategy are integration with key government agencies, secure e-government infrastructure and effective enrollment plan while responding proactively and satisfactorily with the needs of the customers.” Elaborating on the role played by strategic plans in achieving many milestones in the authority’s march thus far, the official said the reengineering of the enrollment process had resulted in remarkable amount of money and time saved in the process. “On the one hand, the time taken for each enrollment was reduced from 25 minutes to just around 5 minutes while using the new procedure. If we look at the period of the plan as a whole, the new procedure helped the Authority save a whopping US$100 million and 5 million hours during three years,” he revealed. “We have to consider the above in tandem with the overall improvement that the identity cards themselves have brought about in the quality and pace of service delivery. One example is the data entry process at Dubai courts. The use of card readers cut short the time taken for data entry process from 10 minutes to mere five seconds. One million card readers have been distributed across the public sector. Imagine the impact this would have had on the pace of services delivered and processes and procedures completed in various government entities. The card readers help save two million working days annually, resulting in better productivity and unprecedented levels of efficiency.” The 14 channels of communication available for the customers to interact with the Emirates ID help us receive feedback, grievances, suggestions and observations from them regularly. This, in turn, allows us to continuously improve on our services. The new strategic plan for 2014-2016 seeks to take the Authority to still newer and higher levels of accomplishments and service delivery. We are at the threshold of significant transformations in the UAE and the identity management system put in place and continuously enhanced by the Emirates Identity Authority will be the main engine that will drive these transformations, added Al Khouri.